Mariefred is a locality situated in Strängnäs Municipality, Södermanland County, Sweden with 3,726 inhabitants in 2010. The name is derived from that of the former Carthusian monastery here, Mariefred Charterhouse, and means "Peace of Mary" (the former name was Gripsholm). It lies roughly 65 kilometres west of Stockholm. Mariefred, despite its small population, is for historical reasons often still referred to as a city. Statistics Sweden, however, only counts localities with more than 10,000 inhabitants as cities. The Royal Gripsholm Castle is located in the town. 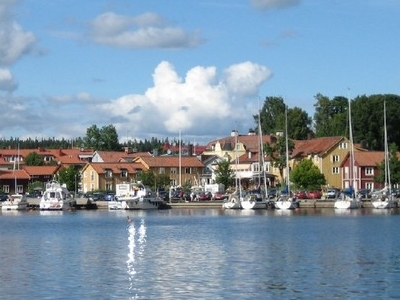 Here's the our members favorite photos of "Towns & Villages in Strängnäs". Upload your photo of Mariefred!